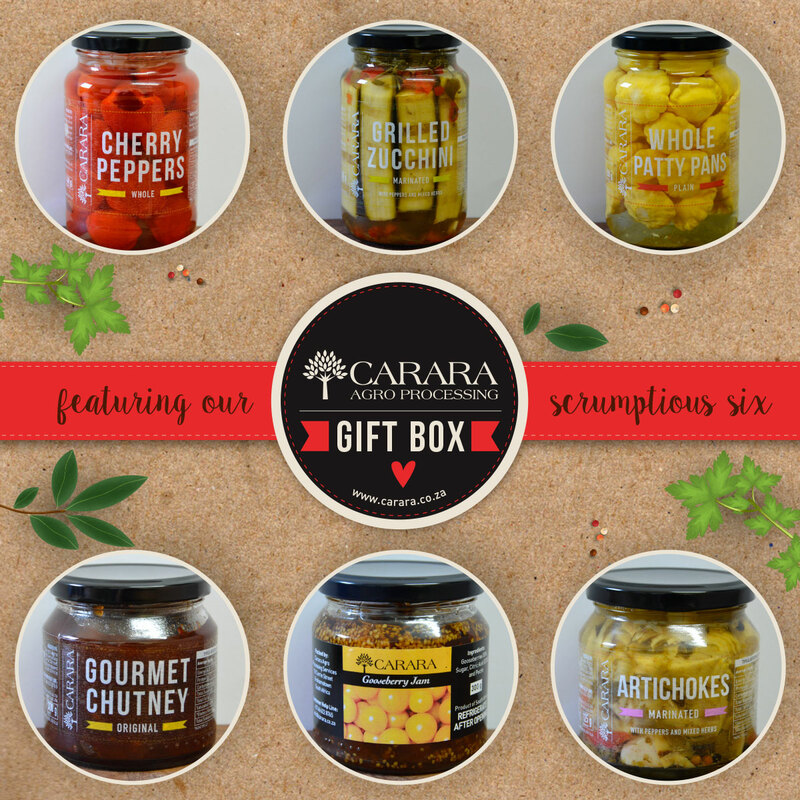 Scrumptious Six Giftbox just R300 including delivery! Carara Agro Processing is situated in the quaint and charming city of Grahamstown. 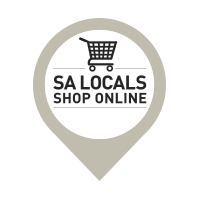 Here in the historic heartland of South Africa, a state-of-the-art food processing factory was established in 2004. A reliable network of local farmers supply the Carara factory with only the finest sweet cherry peppers, golden patty pans and fiery jalapeños. No gourmet platter is complete without them. With a firm focus on quality, reliability and consistency; Carara has grown substantially over the course of 12 years. We are proud producers of a superior range of pickled products, available in bulk and in retail packaging. Our primary product is the beautiful red cherry pepper. Alongside this, we also process jalapeños and patty pans. A firm favourite is our unique gourmet chutney - delicious with almost any dish. All produced with the highest of standards. All of our products are a delicious addition to nearly any dish; and the vibrant colours make for beautiful garnishes. We are always working behind the scenes, developing new products.